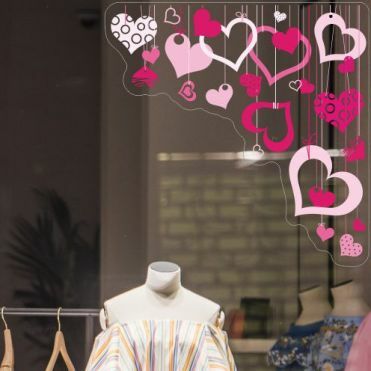 These Valentine's Day themed designs come as a pair of corner stickers designed to be applied to the top of your shop window. 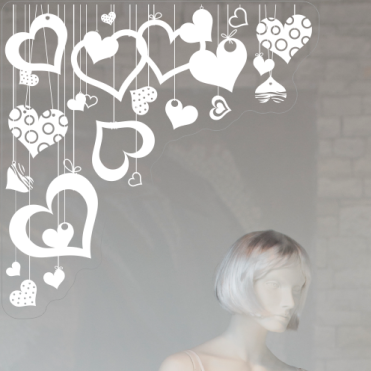 The stickers can be ordered in a size of your choice, and when applicable, in a colour of your choice. 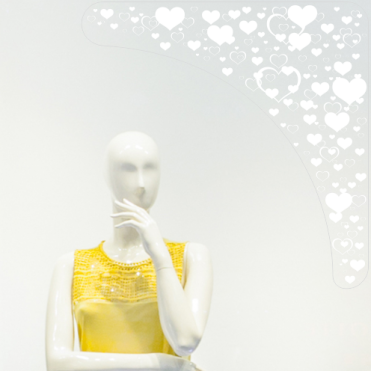 Order in a choice of sizes and colours, either self-adhesive or self-cling. Order in a choice of sizes, either self-adhesive or self-cling. 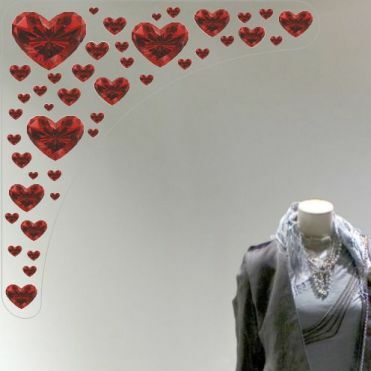 Valentine's Day themed corners shop window stickers ideal for gift shops, jewellers and fashion outlets.